The BEB was registered on the 9th of September 1973 with Mrs E.H. Ryall as its founder member and vice president. It is a christian institution, established, owned and administered by the members of the christian community providing facilities of education to all children with English as their mother-tongue and others irrespective of religion, caste, community, gender or social status so as to have the benefit of the society. 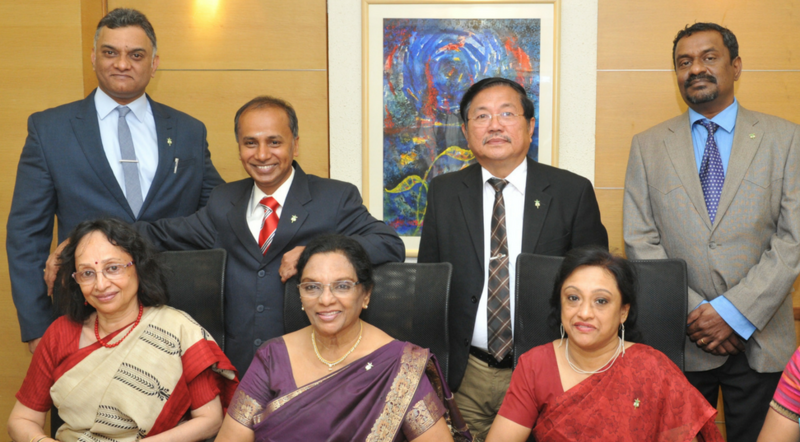 The first Board of Governors included Mr. J. David, Mrs. Mignon David., Mrs. E.H. Ryall, Mr. E. Jayachandra Raj, Ar. A.J.R Ryall, Dr. K.E Peters and Rev. E. David and was registered on 9th sept 1973 as a society. The Bethany Education Board has been the driving force which has grown the Bethany name beyond its physical boundaries. Today, Bethany stands tall as an effective model for the upcoming generation blending both conventional and contemporary styles of education while achieving academic excellence and holistic development for all involved. To welcome change which honours the old and nurtures the new is a sign of a community which is ALIVE. Thanks to a PRO-ACTIVE BOARD!